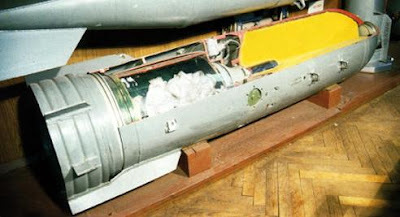 Based off the configuration of the tail-fin in the video showing the remains of one of these bombs, it seems the most likely match in that instance is the FAB-500 SHL, although it's impossible to know if other examples have been used. It's also worth keeping in mind smaller and larger versions of these bombs also exist. What's very interesting is what these bombs are used for. 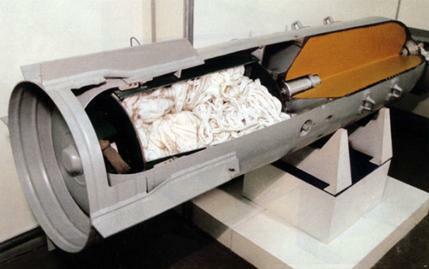 Historically, as air defence systems have become increasingly sophisticated, it became widely accepted that to counter this bombs should be delivered at extremely low altitudes. Standard bombs delivered in this way risked damaging the plane dropping them, so parachutes were added to slow the descent of the bomb. So it would appear the use of these bombs is a reaction to the opposition's improving air-defences, especially as it's clear that in recent months MANPADS are playing an increasingly important role in the opposition air-defences.